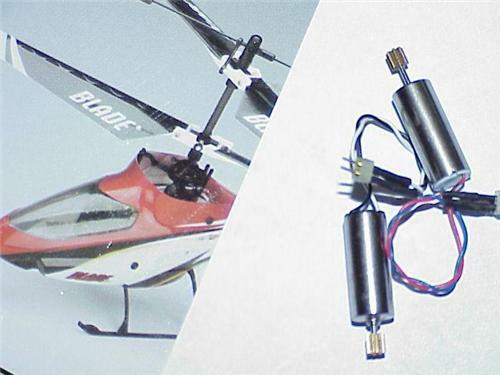 Here you have a COMPLETE SET of E-Flite EFLH2409 & EFLH2410 MOTORS For The mCX2, MH-35 & FHX Ultra-Micro Electric R/C Helicopters ~~!! This set of motors would easily cost you $18.99 plus tax or shipping at any hobby outlet, so take this into consideration, buy accordingly and pick up this complete set of (2) for spares for those unexpected failures and crashes that always seem to happen on Sundays And Mondays !! Or replace your old worn motors and get your Heli back in perfect track !!!! You can't go wrong here when you will receive not one, but two, (1) right & (1) left, they will also include the pinion gears and you have a Low Purchase Price Of Only $10.00 !! Get this Package of (2) while you can for this great price !! OK, so Thank You For Looking and Please Check My Other "BUY IT NOW OFFERS" For More Heli Motors, Parts, Upgrades, Accessories And Many More Great Deals ! !